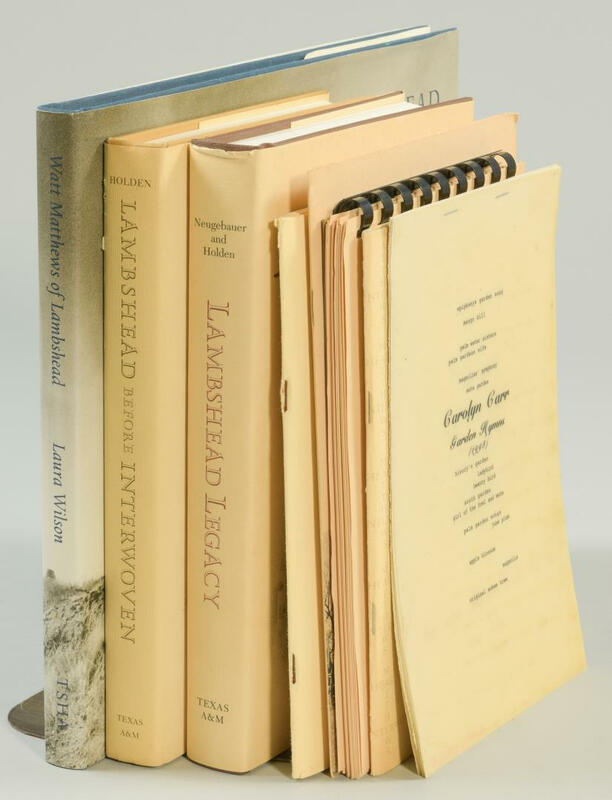 Items 1 – 5: Pamphlets Item 6: Book – Walt Matthews of Lambshead. Author: Wilson Item 7: Book – Lambshead Legacy Item 8: Book – Lambshead Before Interwoven. 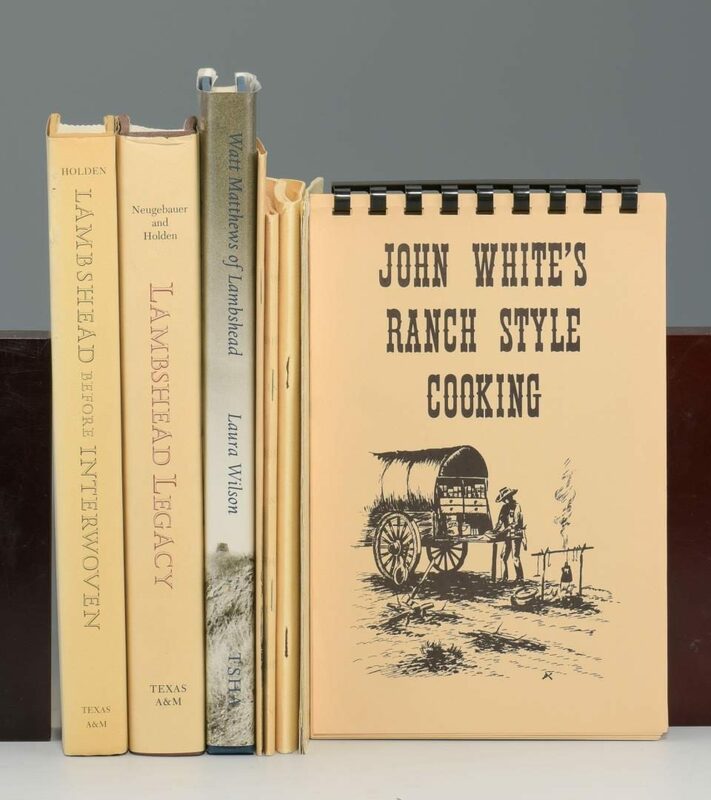 Historic Lambshead Ranch is located in Throckmorton and Shackelford counties 140 miles west of Fort Worth. 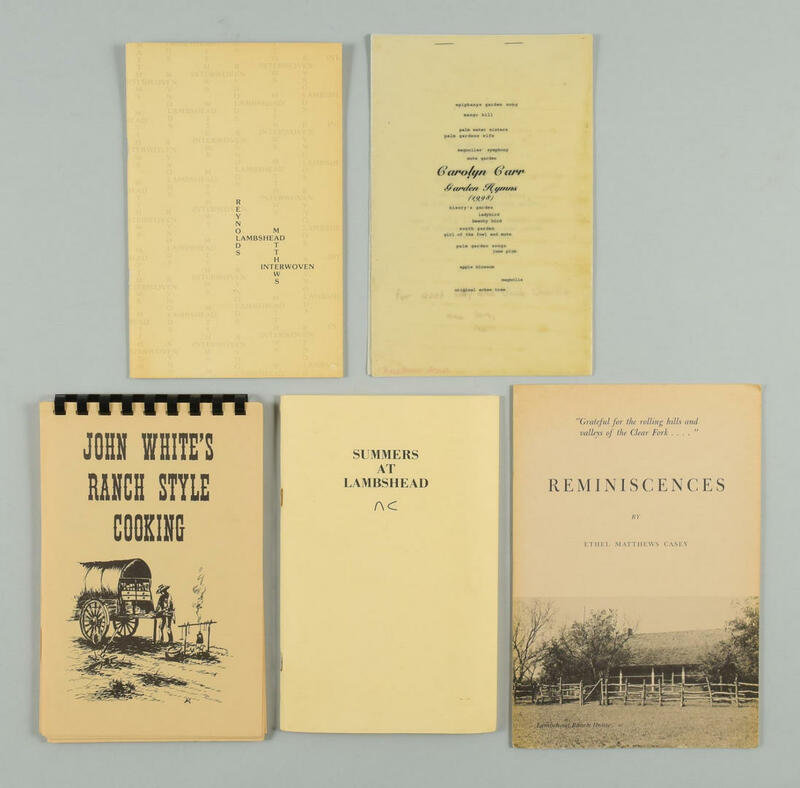 Books range in size from 8 3/8" H x 5 3/8" W x 1/8" D to 10" H x 11 7/8" W x 3/4" D. Collection of Charles and Ann Wells, Nashville, Tennessee. CONDITION: Garden books in good to very good condition. History of Centennial Exposition leather spine and corners are worn, cracked and some missing. Hinges weak.